More than 200 pages of content! From details on opening and contributing to an HSA to taking advantage of tax benefits and investments, you’ll learn everything you need to know about HSAs. 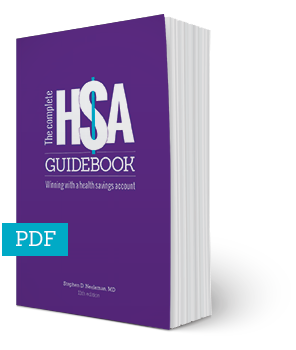 "The Complete HSA Guidebook is a great resource to help people make informed decisions and then take control of their health. As they do so, individuals and families will be prosperous and our economy will flourish as well."